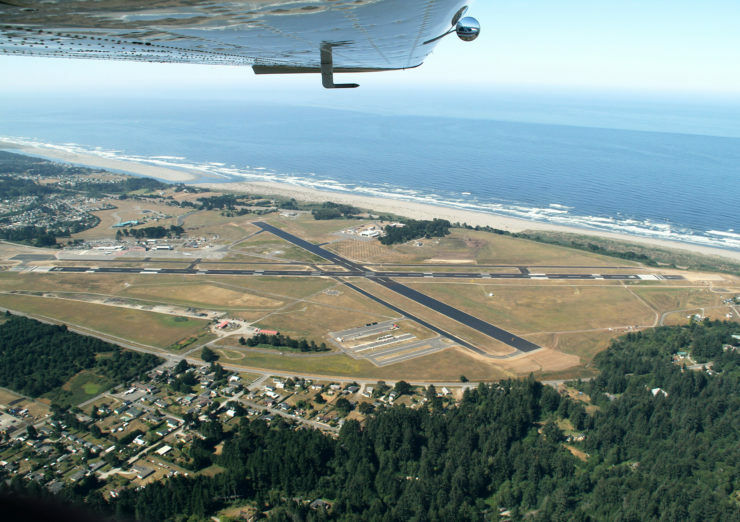 Today, the Humboldt County Board of Supervisors approved a Memorandum of Understanding for the Redwood Coast Airport Renewable Energy Microgrid. Key partners for this project include the County of Humboldt, which will house the airport microgrid, the Redwood Coast Energy Authority (RCEA), which will own and operate the microgrid, and the Schatz Energy Research Center at Humboldt State, which is the prime contractor and responsible for the project design and technology integration. The Redwood Coast Airport Renewable Energy Microgrid will power the Humboldt Bay region with clean, locally generated energy. Annually, its two solar photovoltaic (PV) arrays will provide enough electricity to power 430 households, and prevent the emission of ~880 metric tons of carbon dioxide. On a typical day, some of the energy generated from the PV arrays will be stored onsite, some will be fed directly to the airport and offset electricity costs, and some will be sold on California’s wholesale energy market. The energy sold on the wholesale market will be timed to best support renewable energy on the grid. By storing power in the batteries, the microgrid will be able to provide clean energy when demand is highest and the sun has set. During a power outage, the microgrid’s solar + battery storage system will maintain electricity indefinitely for the airport and adjacent Coast Guard Air Station. This will permit flights and rescue operations to continue across the county, even when the highways are closed. This project is being funded by a $5 million grant from the California Energy Commission’s EPIC program, with $6 million in match funding from RCEA. This system will be the first multi-customer, front-of-the-meter microgrid in Pacific Gas & Electric’s area of service, and is expected to be fully operational in December of 2020. The Redwood Coast Airport’s renewable energy microgrid is one of four resiliency projects completed or currently underway at the Schatz Energy Research Center. The Schatz Center’s first microgrid at the Blue Lake Rancheria was awarded the DistribuTECH 2018 Project of the Year Award for Distributed Energy Resources (DER) Grid Integration and is currently a finalist for the Greater Good Award from Microgrid Knowledge.